Baltimore is full of history, icons and stories. One of the most iconic pillars found throughout the city are the city benches. 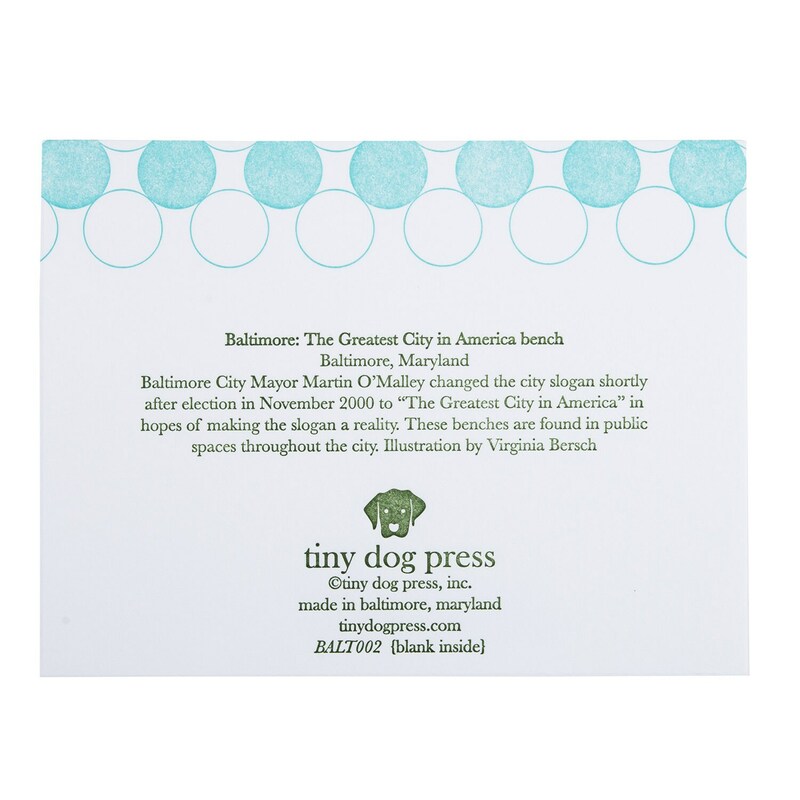 This 2 color letterpress card illustrates The Greatest City In America bench. 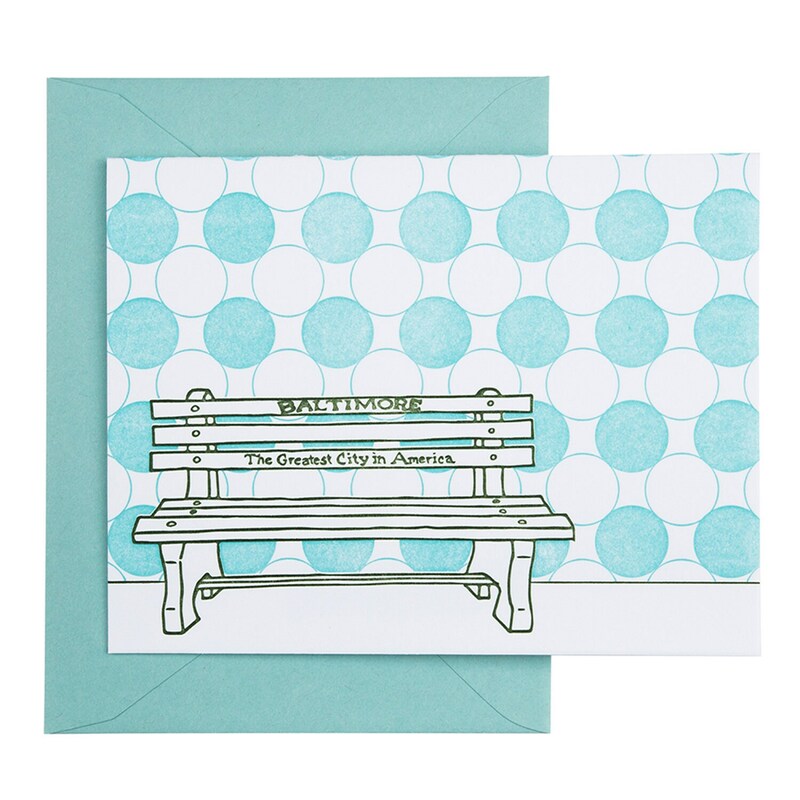 There is a circle pattern in the background and a short blurb on the history of the bench on the back of the card.